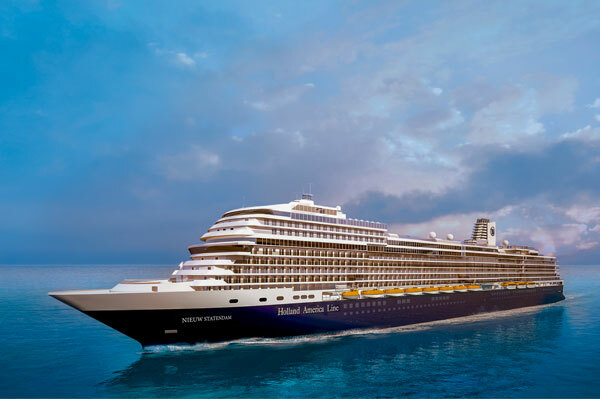 Holland America Line (HAL) has launched a “Caribbean Air Credit” promotion for Canadian residents, available through Sept. 30. The air credit can be used from any Canadian gateway toward select 2018-19 Caribbean cruises that cover eastern, western, southern, tropical, holiday and partial Panama Canal itineraries, as well as sailings to Cuba. To receive greater benefits, travellers taking advantage of the Air Credit can combine the offer with 124 Caribbean cruise departures available under the Explore4 promotion. Through Explore4, guests booking any category stateroom will receive a Signature Beverage Package valued at US$1,400 per stateroom (based on a 14-day cruise), dinner at the Pinnacle Grill for two, free or reduced cruise fares for third and fourth guests in the same stateroom, and 50% reduced deposits. To receive the air credit, agents and their clients must make arrangements through Flight Ease, the line’s web airfare tool, to easily search competitive fares and book flights for a cruise. Air booked through Flight Ease features “late arrival protection” to cover any issues resulting from delayed or cancelled flights. The air credit offer is valid for the first and second guests only in the same stateroom. Interior, ocean-view and lanai/verandah guests receive $100-$200 per guest, and suite guests receive $200-$300 per guest, depending on cruise departure date. The air must be booked by Oct. 15.